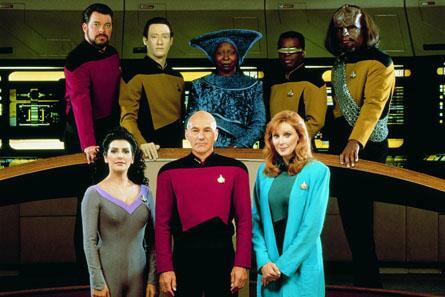 The show was created 21 years after the original Star Trek show, and set in the 24th century from the year 2364 through 2370 (about 100 years after the original series timeframe). 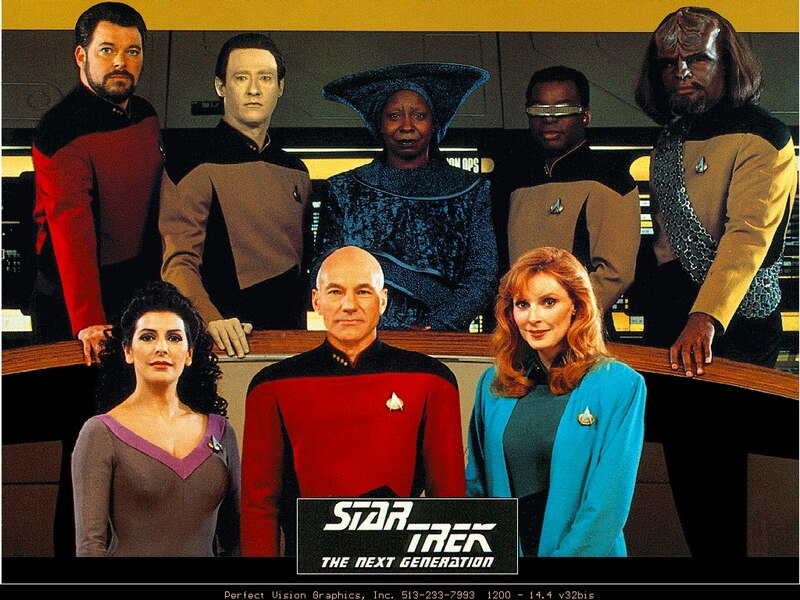 The program features a new crew and a new starship Enterprise. 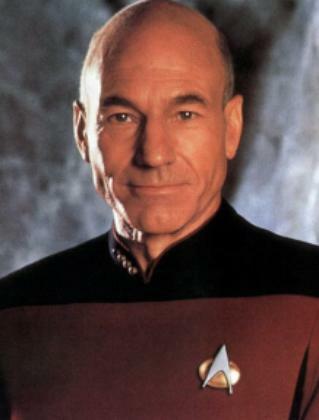 Patrick Stewart's voice-over introduction during each episode's opening credits stated the starship's purpose (albeit modified from the original series): Space: the final frontier. 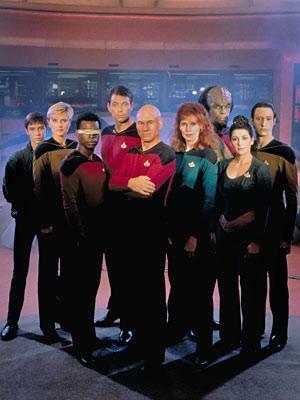 Further information: List of Star Trek: The Next Generation episodes The show follows the adventures of a space-faring crew on board the Starship USS Enterprise (NCC-1701-D), the fifth Federation vessel to bear the name. It takes place roughly 70 years after the final missions of the original Enterprise crew under the command of James T. Kirk. The Federation has undergone massive internal changes in its quest to explore and seek out new life, adding new degrees of complexity and controversy to its methods, especially those focused on the Prime Directive. 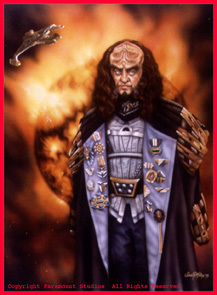 The Klingon Empire and the United Federation of Planets have ceased wartime hostilities and become galactic allies, while more sinister foes like the Romulans and the Borg take precedence on the show. 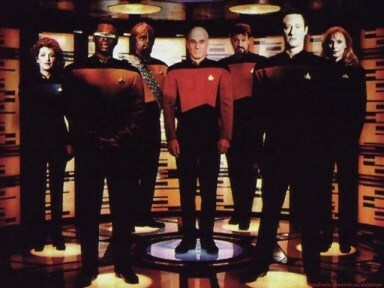 The Enterprise is commanded by Captain Jean-Luc Picard, and is staffed by first officer Commander William Riker, the android Lieutenant Commander Data, security chief Lieutenant Tasha Yar, ship's counsellor Deanna Troi, Klingon tactical officer Lieutenant Worf, Doctor Beverly Crusher, and conn officer Lieutenant Geordi La Forge. 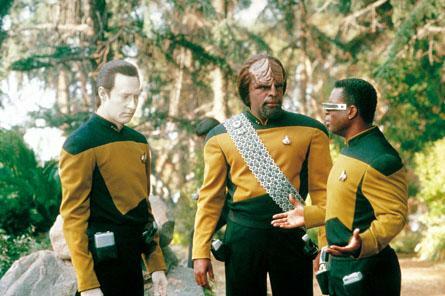 The death of Lieutenant Yar in the show's first season prompts an internal shuffle of personnel, making Worf official chief of security. 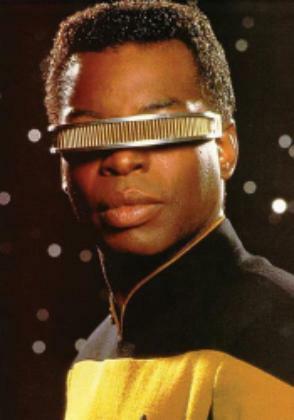 Geordi La Forge is promoted to chief engineer at the beginning of season 2. 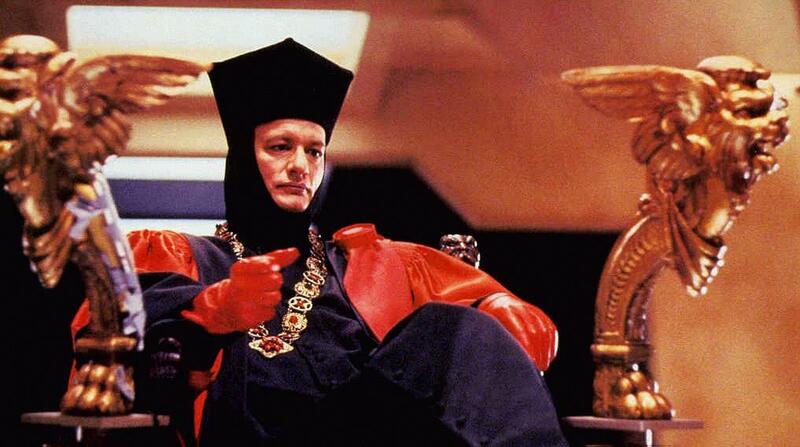 The show begins with the crew of the Enterprise-D put on trial by a nefarious, omnipotent being known as Q. The godlike entity threatens the extinction of mankind for being a race of savages, forcing them to solve a mystery at nearby Farpoint Station in order to prove their worthiness of being spared. After successively solving the mystery and avoiding disaster, the crew officially departs on its mission to explore strange new worlds. Subsequent stories focus on the discovery of new life, sociological and political relationships with alien cultures, as well as exploring the human condition. 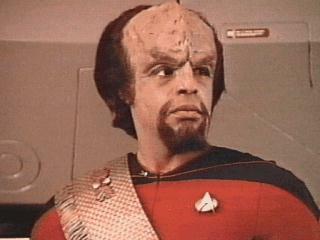 Several new species are introduced as recurring antagonists, including the Ferengi, the Cardassians and the Borg. 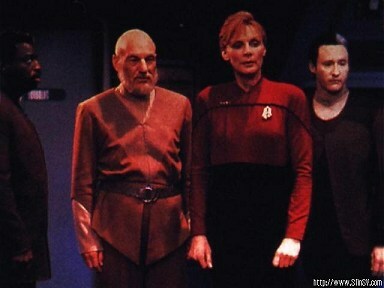 Throughout their adventures, Picard and his crew are often forced to face difficult choices, and live with the consequences of those choices. The show ended in its 7th season with a two-part episode "All Good Things...", which brought the events of the series full circle, back to the original confrontation with Q. An interstellar anomaly that threatens all life in the universe forces Captain Picard to leap from his present, past and future to combat the threat. Picard was successfully able to demonstrate to Q that humanity could think outside of the confines of perception and theorize on new possibilities, while still being prepared to sacrifice themselves for the sake of the greater good. 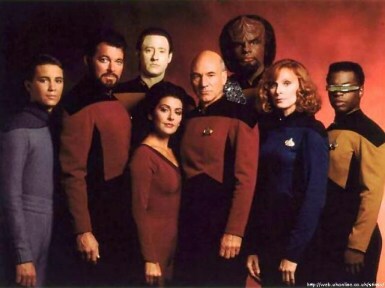 The show ended with the crew of the Enterprise portrayed as feeling more like a family, and paved the way for four consecutive motion pictures that continued the theme and mission of the series. 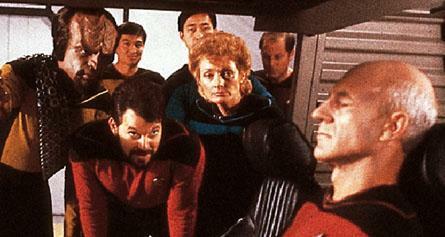 After the box-office success of the Harve Bennett-produced Star Trek-based movies, Paramount decided to create a new Star Trek series in 1986. Roddenberry initially declined to be involved but came on board as creator after being unhappy with early conceptual work. 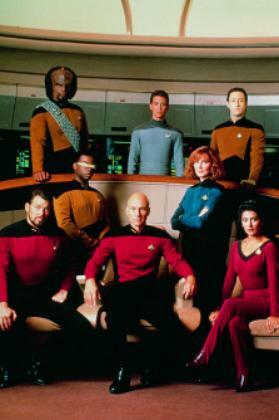 The creation of Star Trek: The Next Generation was announced on October 10, 1986. The show was, unusually, broadcast in first-run syndication rather than running on a major network, with Paramount and the local stations splitting advertising time between them. Roddenberry hired a number of Star Trek veterans, including Bob Justman, D. C. Fontana, Eddie Milkis, and David Gerrold. Paramount executive Rick Berman was assigned to the show at Roddenberry's request. 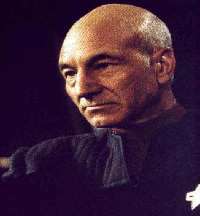 According to series actor Patrick Stewart, Berman was more receptive than Roddenberry to the show addressing political issues. 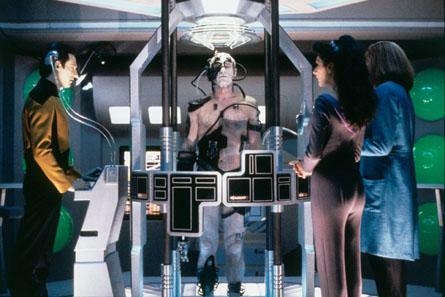 The Next Generation was shot on 35 mm film. 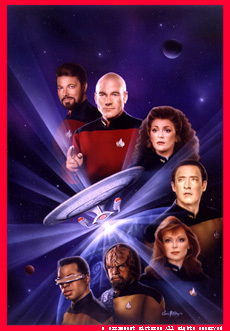 The first season was marked by a "revolving door" of writers, with Gerrold and Fontana quitting after disputes with Roddenberry. Mark Bourne of The DVD Journal wrote of season one: "A typical episode relied on trite plot points, clumsy allegories, dry and stilted dialogue, or characterization that was taking too long to feel relaxed and natural." 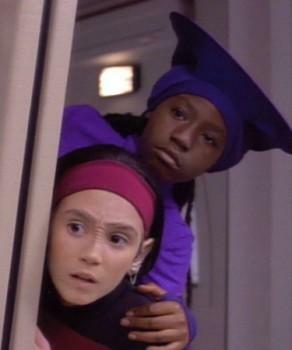 Other targets of criticism include poor special effects and plots being resolved by the deus ex machina of Wesley Crusher saving the ship. 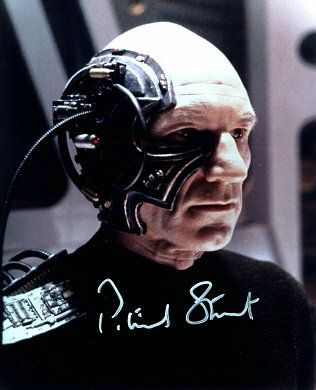 However, Patrick Stewart's acting skills won praise and critics have noted that characters were given greater potential for development than those of the original series. While the events of most episodes of season one were self-contained, many developments important to the show as a whole occurred during the season. 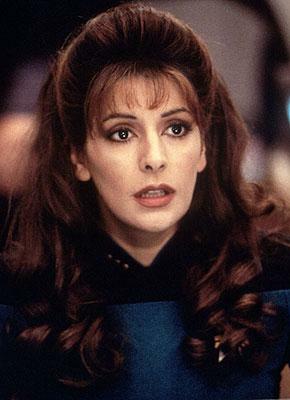 The recurring nemesis Q was introduced in the pilot, "Encounter at Farpoint", the alien Ferengi first appeared in "The Last Outpost", the capabilities of the holodeck were explored, and the history between William Riker and Deanna Troi was investigated. Later season-one episodes set the stage for serial plots. 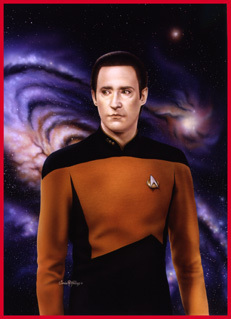 The episode "Datalore" introduced Data's evil twin brother Lore, who made several more appearances in later episodes. 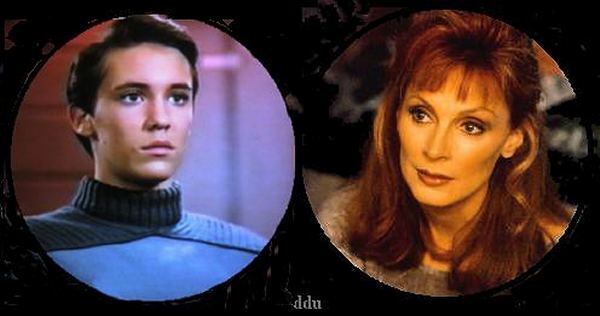 "Coming of Age" dealt with Wesley Crusher's efforts to get in to Starfleet Academy while also hinting at the threat to Starfleet later faced in "Conspiracy". 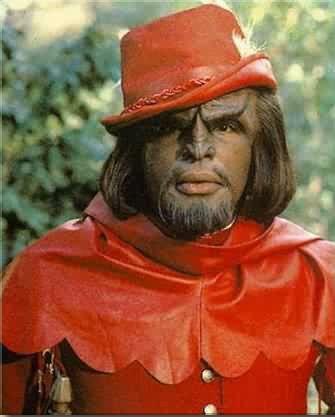 "Heart of Glory" explored Worf's character, Klingon culture, and the uneasy truce between the Federation and the Klingon Empire, three themes that would play a major role in later episodes. 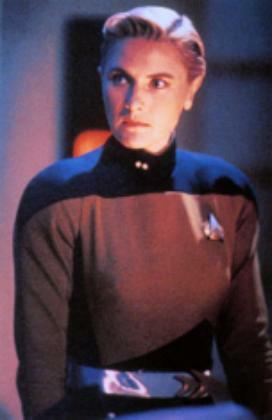 Tasha Yar left the show in "Skin of Evil" becoming the first regular Star Trek character to die (permanently) in either series or film, and the season finale, "The Neutral Zone", established the presence of two of TNG's most enduring villains: the Romulans, making their first appearance since the Original Series, and, through foreshadowing, the Borg. The series premiere became the first television show to be nominated for a Hugo Award since 1972. Six first-season episodes were each nominated for an Emmy Award; won for Outstanding Sound Editing for a Series, "The Big Goodbye" won for Outstanding Costume Design for a Series, and "Conspiracy" won for Outstanding Achievement in Makeup for a Series. "The Big Goodbye" also won a George Peabody award, the only episode of the entire Star Trek saga to be so honored. The series underwent significant changes during its second season. 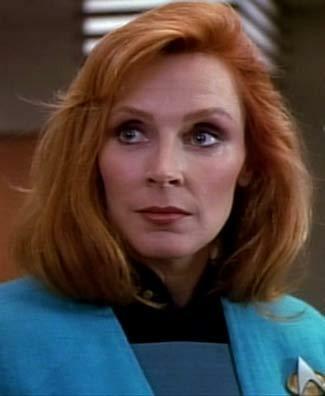 Beverly Crusher was replaced as chief medical officer by Katherine Pulaski, played by Diana Muldaur, who had been a guest star in "Return to Tomorrow" and "Is There in Truth No Beauty? 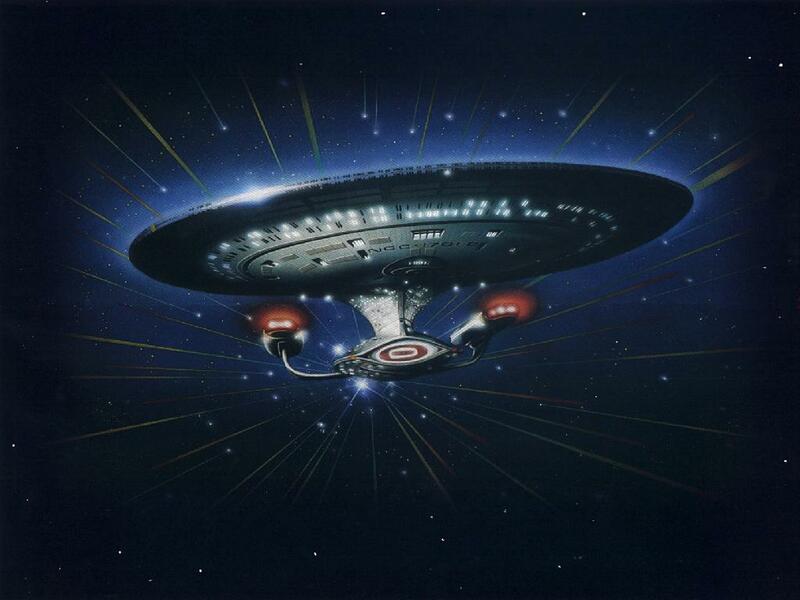 ", two episodes from the original Star Trek. 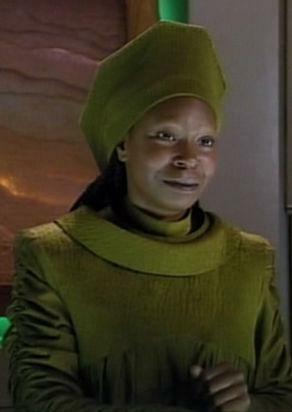 The show's recreational area, Ten-Forward, and its mysterious bartender/advisor, Guinan, played by Whoopi Goldberg, appeared for the first time. Owing to the 1988 Writers Guild of America strike, the number of episodes produced was cut from 26 to 22 and the start of the season was delayed. 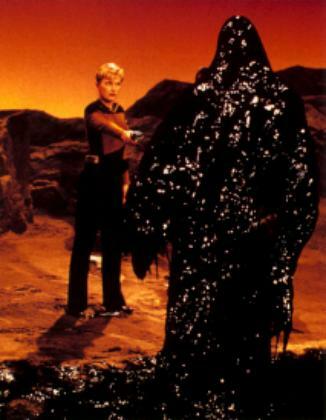 Because of the strike, the opening episode, "The Child", was based on a script originally written for Star Trek: Phase II, a previous attempt to create a new weekly Star Trek series, while the season finale, "Shades of Gray", was a clip show. Nevertheless, season two as a whole was widely regarded as significantly better than season one. The plots became more sophisticated, and began to mix drama with comic relief. Its focus on character development received special praise. Co-executive producer Maurice Hurley has stated that his primary goal for the season was to plan and execute season-long story arcs and character arcs. Hurley wrote the acclaimed episode "Q Who? 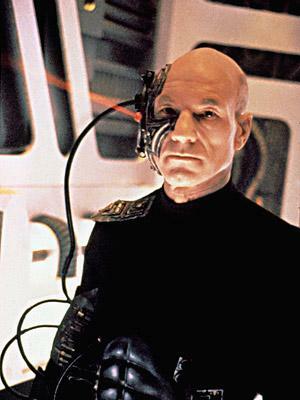 ", which featured the first on-screen appearance of TNG's most popular villain, the Borg. 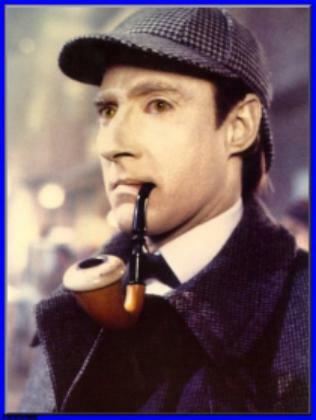 Season two focused on developing the character Data, and two highly-regarded episodes from the season, "Elementary, Dear Data" and "The Measure of a Man" featured him prominently. 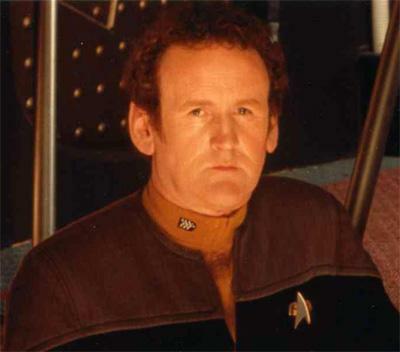 Miles O'Brien also became a more prominent character during the second season, while Geordi La Forge found a position as chief engineer. 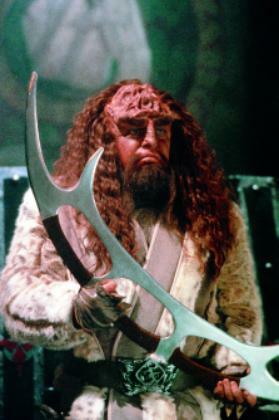 Klingon issues continued to be explored in well-regarded episodes such as "A Matter of Honor" and "The Emissary", which introduced Worf's former lover K'Ehleyr. Five second-season episodes were nominated for six Emmys; "Q Who?" won for Outstanding Sound Editing for a Series and Outstanding Sound Mixing for a Drama Series. Prior to the production of the third season in the summer of 1989, some personnel changes were made. Head writer Maurice Hurley was let go and Michael Piller took over for the rest of the series. Creator and executive producer Gene Roddenberry took less of an active role due to his declining health. 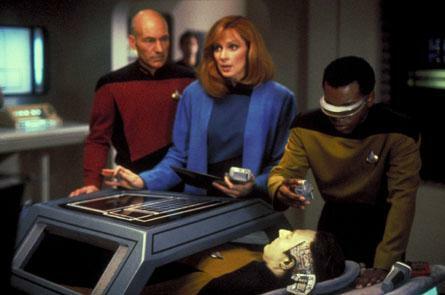 Roddenberry gave Piller and Berman the executive producer jobs, and they remained in that position for the rest of the series' run, with Berman overseeing the production as a whole and Piller being in charge of the creative direction of the show and the "writing room". 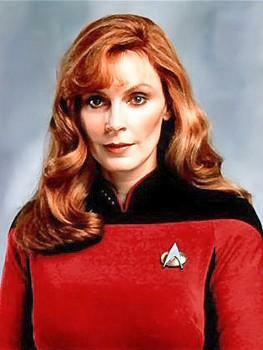 Doctor Crusher returned from her off-screen tenure at Starfleet Medical to replace Doctor Pulaski, who had remained a guest star throughout the second season. 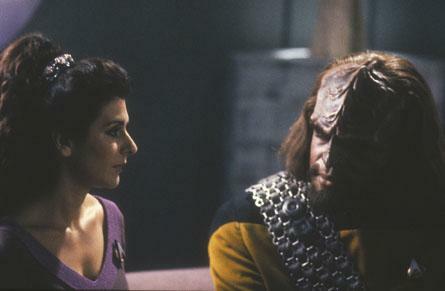 Ronald D. Moore joined the show after submitting a spec script that became "The Bonding"; he became the franchise's "Klingon guru", meaning that he wrote most TNG episodes dealing with the Klingon Empire (though he wrote some Romulan stories as well, such as "The Defector", midway through season three). Writer/producer Ira Steven Behr also joined the show in its third season. 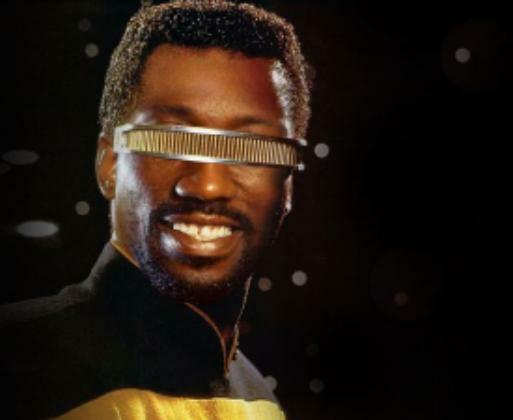 Though his tenure with TNG would last only one year, he would later go on to be a writer and Showrunner of spin-off series Star Trek: Deep Space Nine. Six third-season episodes were nominated for eight Emmys; "Yesterday's Enterprise" won for Outstanding Sound Editing for a Series and "Sins of the Father" won for Best Art Direction for a Series. 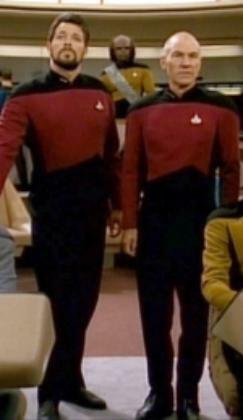 After complaints of discomfort made by several cast members, new two-piece Starfleet uniforms were introduced in the third season to replace the jumpsuits worn in the first two seasons. Brannon Braga and Jeri Taylor joined the show in its fourth season. The fourth season surpassed the Original Series in terms of season length with the production of "The Best of Both Worlds, Part II". 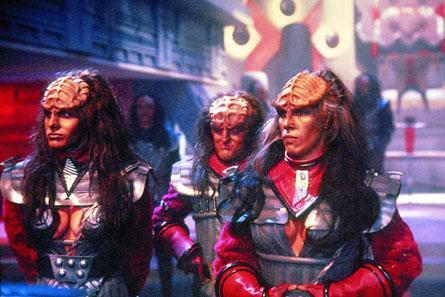 During the episode of "The Wounded", the alien race of the Cardassians make their first appearance; as they would later go on to be featured within the storyline for Star Trek: Deep Space Nine. 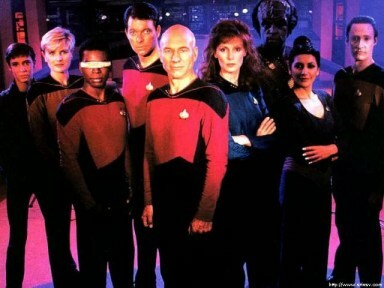 The season finale, "Redemption", was the 100th episode, and the cast and crew (including creator Gene Roddenberry) celebrated the historic milestone on the bridge set. Footage of this was seen in the Star Trek 25th anniversary special, hosted by William Shatner and Leonard Nimoy, which aired later in the year. Seven fourth-season episodes were nominated for eight Emmys; "The Best of Both Worlds, Part II" won for both Outstanding Sound Editing in a Series and Outstanding Sound Mixing for a Series. 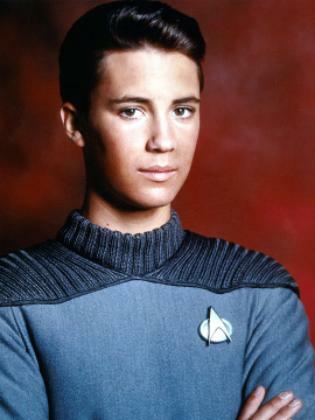 Character Wesley Crusher left the series in Season 4 to go to Starfleet Academy. 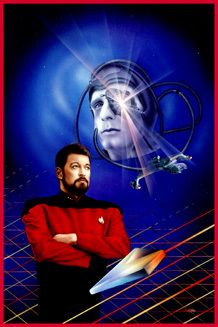 The fifth season's "Unification" opened with a dedication to Star Trek creator Gene Roddenberry (even though the prior episode, "The Game," aired four days after his death). Roddenberry, though he had recently died, continued to be credited as "Executive Producer" for the rest of the season. The cast and crew learned of his death during the production of "Hero Worship", a later season five episode. Seven fifth-season episodes were nominated for eight Emmys; "Cost of Living" won for Outstanding Individual Achievement in Costume Design for a Series and Outstanding Individual Achievement in Makeup for a Series, and "A Matter of Time" and "Conundrum" tied for Outstanding Individual Achievement in Special Visual Effects. In addition, "The Inner Light" became the first television episode since the 1968 original series Star Trek episode "The City on the Edge of Forever" to win a Hugo Award for Best Dramatic Presentation. 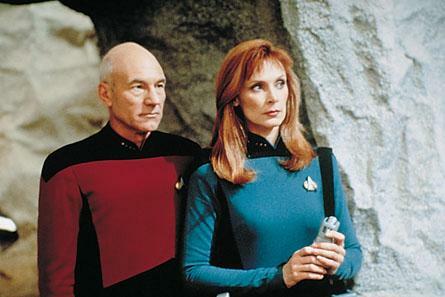 Season five saw the introduction of a jacket for Picard, worn periodically throughout the rest of the show's run. The observation lounge set was altered with the removal of the gold model starships across the interior wall and the addition of lighting beneath the windows. 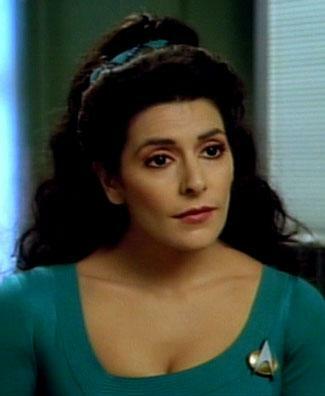 Recurring character Ensign Ro Laren was introduced in the fifth season. The sixth season brought aboard a new set of changes. 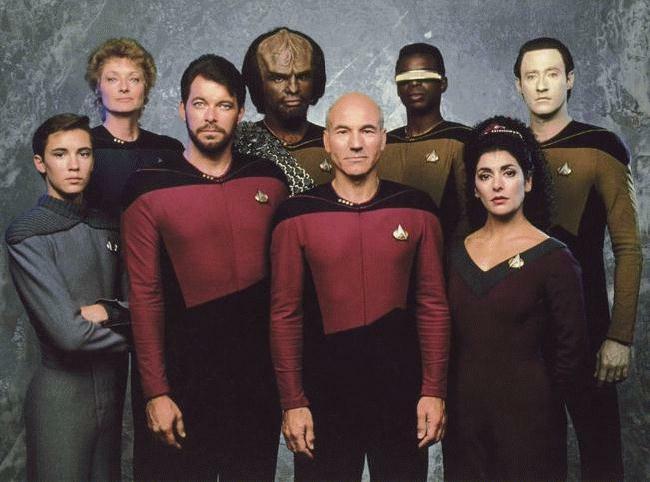 Now Rick Berman and Michael Piller's time was split between the newly-created Star Trek: Deep Space Nine and The Next Generation. Three sixth-season episodes were nominated for Emmys; "Time's Arrow, Part II" won for both Outstanding Individual Achievement in Costume Design for a Series and Outstanding Individual Achievement in Hairstyling for a Series and "A Fistful of Datas" won for Outstanding Individual Achievement in Sound Mixing for a Drama Series. The seventh season was The Next Generation's last. The finale, "All Good Things...", was a double-length episode (separated into two parts for reruns) aired the week of May 19, 1994, revisiting the events of the pilot and providing a bookend to the series. Toronto's SkyDome played host to a massive event for the series finale. Thousands of people packed the stadium to watch the final episode on the stadium's JumboTron. Five seventh-season episodes were nominated for nine Emmys, and the series as a whole was the first syndicated television series nomination for Outstanding Drama Series. To this day, The Next Generation is the only syndicated drama to be nominated in this category. "All Good Things..." won for Outstanding Individual Achievement in Special Visual Effects and "Genesis" won for Outstanding Individual Achievement in Sound Mixing for a Drama Series. 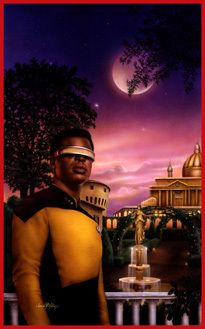 "All Good Things..." also won the second of the series' two Hugo Awards. 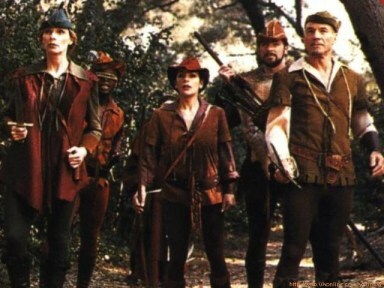 The cast underwent several changes through the series' run. 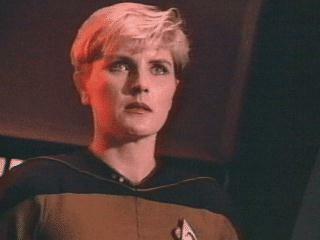 Denise Crosby chose to leave the show shortly before the first season ended. 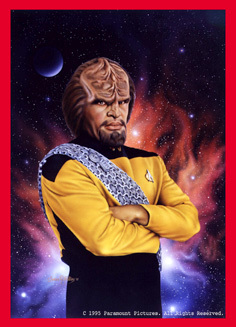 Michael Dorn's Worf replaced Tasha Yar as security chief and tactical officer. 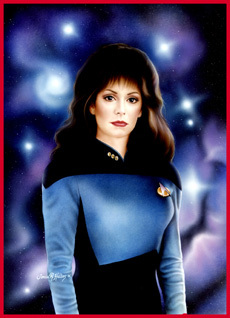 Crosby returned to portray Yar in alternate timelines in "Yesterday's Enterprise" and "All Good Things...". 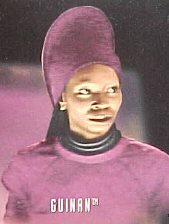 Crosby also played Yar's half-Romulan daughter, Sela. 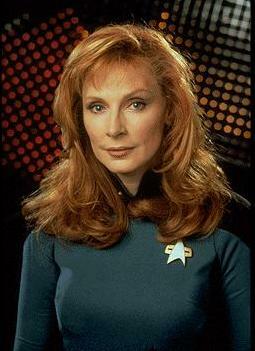 Gates McFadden, as Beverly Crusher, was replaced after the first season by Katherine Pulaski, played by Diana Muldaur, during the second season. Muldaur never received billing in the opening credits, and instead was listed as a special guest star in the credits shown during the first act. 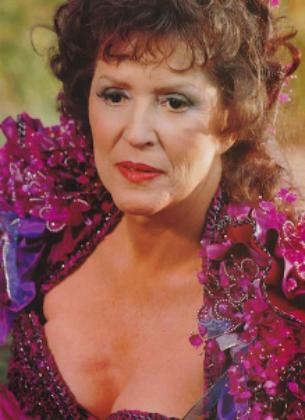 Pulaski proved unpopular with viewers and was dropped at the end of the second season; McFadden returned for seasons 3�7 and reprised her role as Crusher. 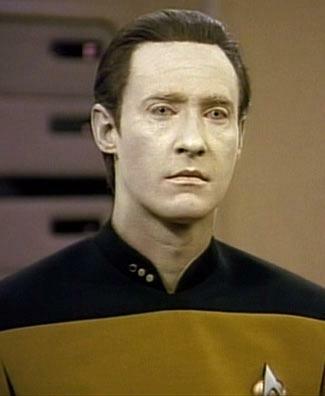 Wesley Crusher was also written out of the show. 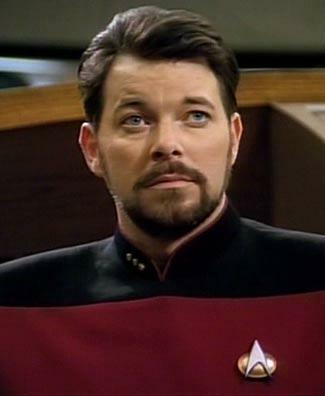 According to actor Wil Wheaton's website, he wanted to leave the show because he was frustrated by having to fit other roles around his Trek schedule despite his character's diminishing role in the series. 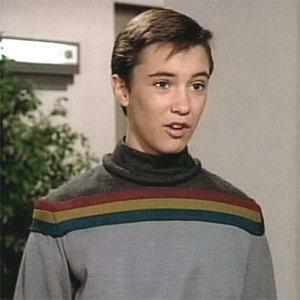 Wesley Crusher reappears in several later episodes. 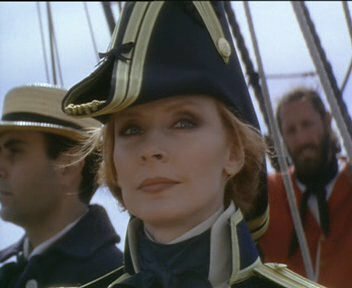 The Helmsman position has been held the most times on this show by members of the main cast, as well as members of the secondary cast. 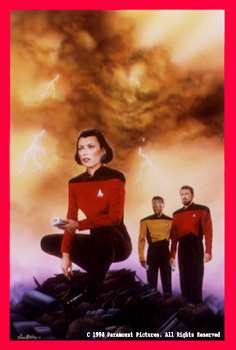 The main character Wesley Crusher has held this position more often than any other character on this show. ..